Hamilton Massachusetts is a rural suburban town just twenty three miles north of Boston on the North Shore. Located just five miles inland from the Massachusetts Bay, Hamilton is bordered by Ipswich, Essex, Manchester-by-the-Sea, Topsfield and Wenham its sister town. Hamilton, named after Alexander Hamilton, is a quiet town with historic homes and beautiful landscapes with an equestrian air influenced by the many horse farms. The George S. Patton Memorial Park is the center of recreation for the town. Along the seashore of the Atlantic Ocean you will find reservations, beaches and boating. 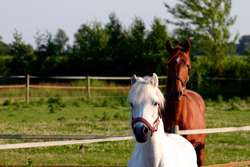 Hamilton is also the home of Myopia Hunt Club, an equestrian club which hosts polo and other equestrian events. Currently the town has no manufacturing industry and no industrially-zoned land however you will find on Sagamore Hill, the Sagamore Hill Radio Observatory which operates on a daily basis to obtain scientific observations of the Sun. Hamilton has close ties to its sister town, Wenham as they share a school system, library, recreation department and commuter rail station. The Community House, built by the Mandell family in memory of the men who died in service during World War I has been trusted for the use of residents in both towns and features a wide variety of classes and activities for all ages. The school system, known as the Hamilton-Wenham Regional School District is mostly located in Hamilton. The district has three elementary schools, one of which is located in Wenham, a middle school and a high school. The Pingree School, a private secondary school is located on the historic Pingree Family Estate in Hamilton. Hamilton is also the home of the Gordon-Conwell Theological Seminary, an interdenominational evangelical theological seminary. If you are thinking of buying or selling property in Hamilton, contact our office and we will connect you with an agent who is very knowledgeable of the area. The agents at RE/MAX Advantage are long term locals and love to share their knowledge and love for the community. They are highly trained and have the most sophisticated tools behind them to help you find your dream home or sell for the highest price. We have provided some community links and quick property searches on the right side of this page so you can begin to explore Hamilton on your own.